The biggest sporting event in the world, the 2014 World Cup, deserves a special kind of attention. 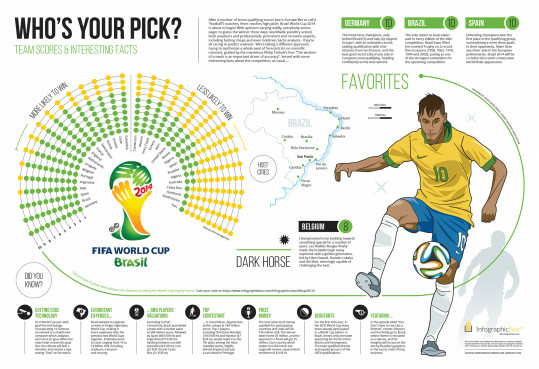 Previews, Predictions and countless words about who is going to win in Brazil, but it’s a little bit nicer getting your information overdose by reviewing infographics instead of text that never ends. It wasn’t easy, but we think we found the best ones out there to get you into that football mood: From generally getting into it to a bit more information about specific nations, likely winners, backgrounds of players and the money, which is always interesting, involved in FIFA’s big show. 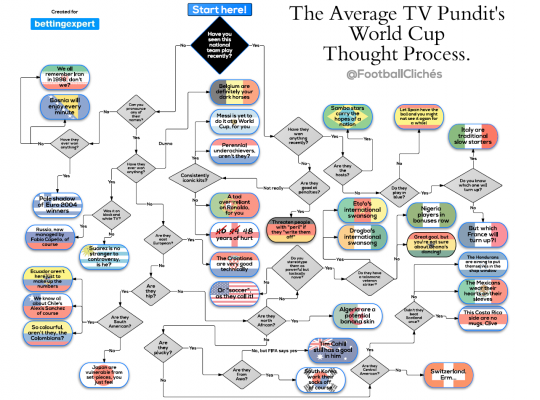 The World Cup is a big deal, and there are plenty of things to learn. So while it might not cover everything, it’s as close as it gets to one comprehensive way of learning your ABCs about the biggest sporting event in the world. 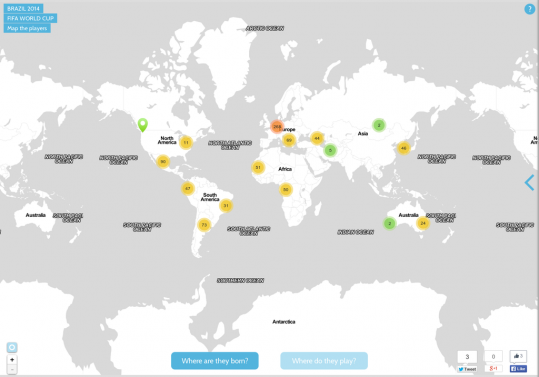 A pretty cool visualization of who plays in this world cup and where do they come from. 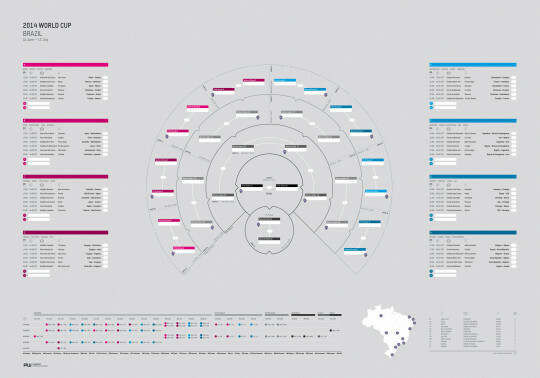 To make it work properly and see this infographic do more than just sit there and look pretty, click here. Being a genius and guessing who wins isn’t just about the money you can make from placing bets, but also earns you bragging rights. No one can predict the future, but maybe a glance on the info in this graphic will give you what you need for your mates to declare you the Nostradamus of 2014. Can England Actually Win it?! England won the World Cup once – in 1966, as the hosts, with a highly controversial goal helping them out. Not a whole lot of people think they can win this time. With such a busy month ahead of us, planning how to to maximize your efficiency and grab as many hours of football as possible is of extreme importance. Being such a huge global event, it’s always interesting to make comparisons between the nations that don’t always have to do with football, like this interesting look at the financial power of each nation. Haven’t had enough of things that more about ordinary life than actual football? Here’s another one with plenty of economics thrown into it. Gone are the days when people took the words of TV Pundits for granted. Often, fans following the sport as a hobby happen to be more insightful than the people who do this for a living, spewing out the most predictable of “analysis”.